Since our doors first opened in 1979, we have had the privilege of teaching English to international students and professionals from over 100 countries. We take great pride in our reputation for academic excellence and offer every learner a program of personalized quality instruction in a friendly and enriching atmosphere. We believe that learning the English language takes place inside and outside the classroom. At Golden Gate Language Schools, we offer the best of both. Inside the classroom, our accredited programs help you build a strong foundation of the language. 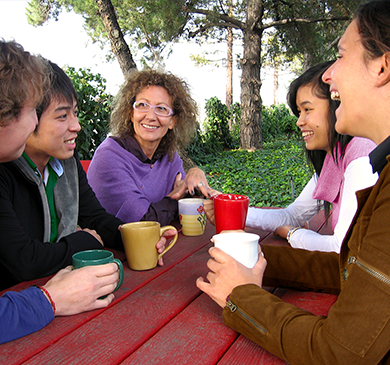 Outside the class, our many social activities and your GGLS friends let you practice English anytime, all the time, and in all kinds of real-life situations. This process of learning which combines GGLS instruction and constant practice of English helps you gain confidence and fluency in English. All members of our administrative staff are experienced and knowledgeable and have been with GGLS for many years. They can provide information, advice and assistance on academic issues as well as adjusting to life in America. 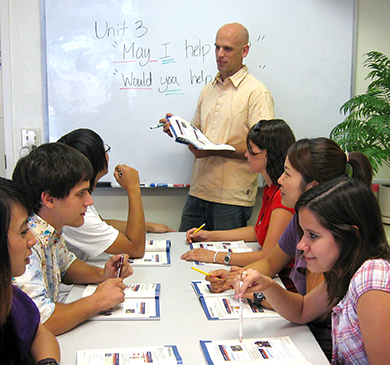 All of our English language instructors are highly qualified teaching professionals. Most hold masters degrees and/or certificates for teaching English as a Second Language. Our teachers have lived or traveled outside of the United States and are sensitive to the difficulties you might experience when you come to a new country. Whether you want to prepare for college, improve your English for your job or study for personal reasons, they will help you reach your goals. 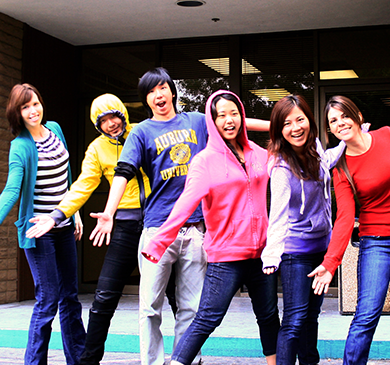 Golden Gate Language Schools is located in San Jose, the heart of California's high tech Silicon Valley. Our campus is in a safe office park, easily reached from Santa Clara, Mountain View, Sunnyvale, and East Bay cities. Famous companies like Google, Apple and Facebook are all within a few miles from GGLS. San Francisco and the Pacific Ocean are close enough for an exciting excursion, and major universities such as Stanford and Santa Clara University are within easy reach. The climate in Silicon Valley is mild and comfortable throughout the year and outdoor activities are plentiful. There is ample free parking and we are accessible by Light Rail and VTA Bus #58. Golden Gate Language School offers students modern classrooms with flat panel screens and a well-equipped lunchroom facility with complimentary coffee and tea. In addition, there is a computer laboratory for class work, email and internet, as well as free wireless internet access throughout the school. The administrative offices are also conveniently located on the premises. We achieve our mission through multi-level evaluations of our institution and programs. We want you to have a successful experience learning English at GGLS. All of us are dedicated to making your stay a happy and memorable one. GGLS has the most pleasant learning environment I have ever experienced. I want to thank my teachers for broadening my horizons, laying a solid foundation in grammar and writing, and bolstering my conversation and pronunciation skills in preparation for my entry into (the graduate program at) San Jose State University this fall.